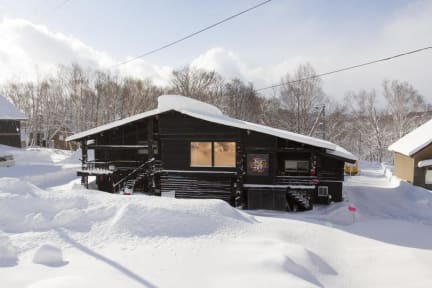 Niseko Backcountry Lodge is a traditional Japanese ski lodge with a modern touch. Based in the heart of Niseko's powder, it has undergone extensive renovations, adding 21st century touches and comforts to make it the best place to rest after a huge day on the hill. We pride ourselves on providing quality, affordable, friendly accommodation in the best location possible. We are slopeside at Moiwa, with the lifts of Annupuri and beyond just a 3 minute free shuttle away. You can ski back from every resort in Niseko right to our door. 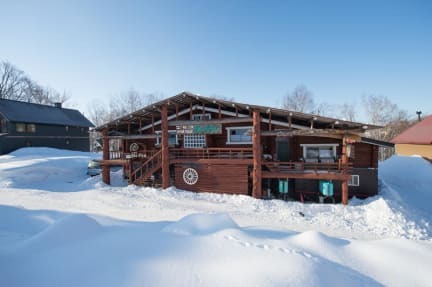 With a wide variety of comfortable rooms, ski and drying room, wireless internet throughout, in-house restaurant and bar, and comfy communal areas to unwind after another day spent chest deep in powder, Niseko Backcountry Lodge is the place to be. Each bed in the lodge has a brand new western mattress, plush quilt and pillow, power and reading light, privacy curtain and free WiFi. The dream place to stay! We were beginner skiiers, got good gear hire/lessons that the staff helped us organise, 1 min walk to the lifts (more mountains on a free shuttle every morning), moiwa was so quiet- perfect to learn on, plenty of delish food around, walking distance to onsens.. The lodge is cosy, comfy.. sweet set up with drying room etc. Heaps of good vibes and people, staff so helpful (cheers James!) We had the best time, will be raving about it to everyone. Thanks heaps !! James and jordy and the staff are rockstars. Great energy and super knowledgeable and helpful for everything you need to have a smooth stay in niseko. Overall, an incredible place with incredible people. Multiple common areas made it easy to meet people and the attached restaurant/bar lived up to the hype. Cozy atmosphere and the food was insanely good. Staff is very helpful. Breakfast had healthy servings of bacon and eggs which was ideal before a day of skiing. Good atmosphere with lots of socializing and people still observed the quite hours. Sleeping was no problem. People were up early to ski. I signed up for a day trip to Rosuku that was organized by lodge. I was happy with the arrangement. Recommend it to others. Great lodge friendly staff only thing to consider is the Lodge is 25 min from Hirafu party town which is 3500 yen taxi ride. Alternatively great bar at venue. Free shuttles during the day for most ski runs. Great hostel super convenient for skiing Moiwa and easy to get to Annapuri or Hirafu for a day there. Good atmosphere with bar conveniently attached to hostel and moiwa lodge just up the road. Only downsides are it’s tricky to get back from town late so not the place if you’re looking for big apres ski vibes, also ‘kitchen’ facilities are a bit pathetic and fridge is small so realistically hard to bring your own food. Beds were good and heating worked well. The downstairs smelled SO BAD. They were working on the plumbing the whole time we were there (four days). It seemed like the bathrooms were not cleaned and were frequently under stocked and the lights were out. The lack of cleanliness and the smell was TERRIBLE. The staff were nice but difficult to find. Moiwa is a great little mountain but after five o’clock there is no way to get to and from Hirafu except by taxi (~$45). The property would benefit from more shuttle options to Hirafu.